The Body Shop has publicly distanced itself from the Daily Mail, saying it has no plans to advertise in the newspaper, citing the beauty product brand's "ethical stance". The Body Shop cut its ties with the Daily Mail due to human rights concerns, reported the Huffington Post. Campaign group Stop Funding Hate published a tweet on Wednesday suggesting The Body Shop backed its campaign to stop advertising in newspapers it considers to be promoting bigotry. It said The Body Shop's decision represents a "huge win" for Citizens UK, which called for action earlier this week. 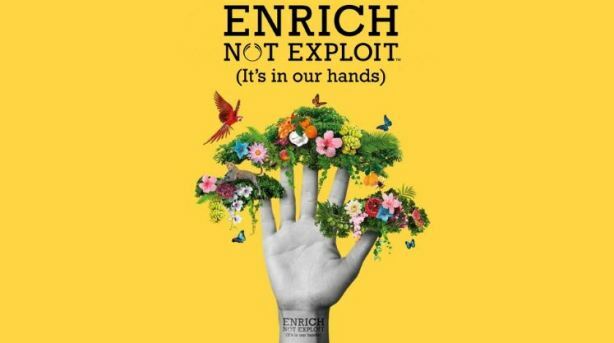 A Body Shop spokesman pointed to its Enrich Not Exploit campaign, which aims to make The Body Shop the most ethical and sustainable global business. "When an editorial stance seems to go against that commitment, we consider seriously whether we will support it," the spokesman added. The Daily Mail was unable to immediately respond to a request for comment. The Body Shop is part of the L'Oréal Group, whose brands include Lancôme, Yves Saint Laurent, Maybelline, and many others. It is unclear whether more L'Oréal brands will cease advertising in the Daily Mail, or if the Body Shop will pull ads from other papers. The Body Shop declined to comment on behalf of other L'Oréal brands. Campaign's sister magazine PRWeek contacted L'Oréal but had received no response at the time of publication. A spokesman for Stop Funding Hate said: "We commend the Body Shop for recognising that their commitment to human rights is incompatible with their commercial relationship with the Daily Mail. "We urge the Co-op Group, John Lewis, Marks & Spencer and other principled UK retailers to listen to their customers and follow the Body Shop's example." According to the campaign group, internet service provider Plusnet, wallet brand Bellroy and airline business Eurowings have all pulled online ads from The Sun in the past week. Stop Funding Hate claimed its first major scalp in November when Lego halted its promotional tie-up the Daily Mail. In that instance, Lego said it had listened very carefully to its customers after a well-reported open letter from a father to Lego, which was published on Facebook, accused it of betraying its own brand vales with the partnership. In December, right-wing American news outlet Breitbart urged its readers to boycott Kellogg's, following the cereal company's decision to cease all advertising on the site.